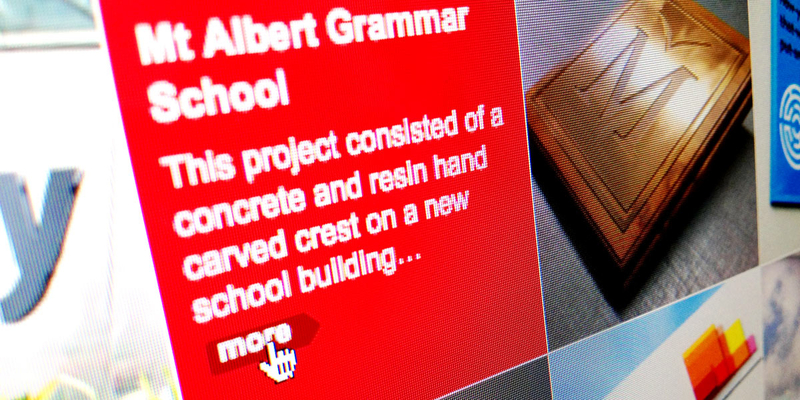 Q: How can we communicate our specialist expertise in signage? Angle: The signage experts lead by example. 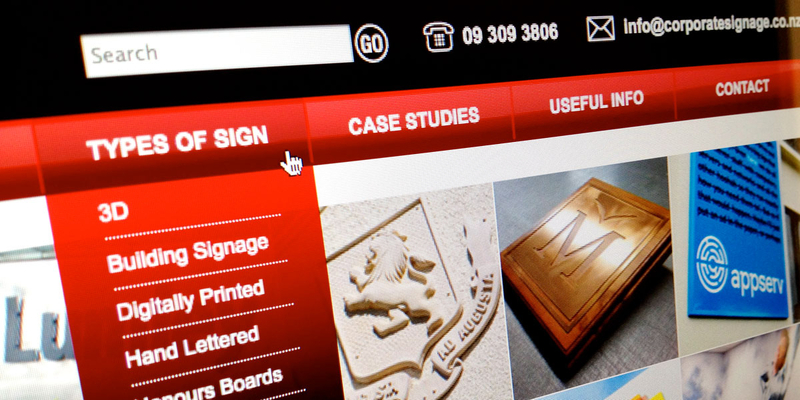 With over 5,000 projects under their belt, for a wide variety of clients throughout New Zealand, Corporate Signage are THE signage experts. 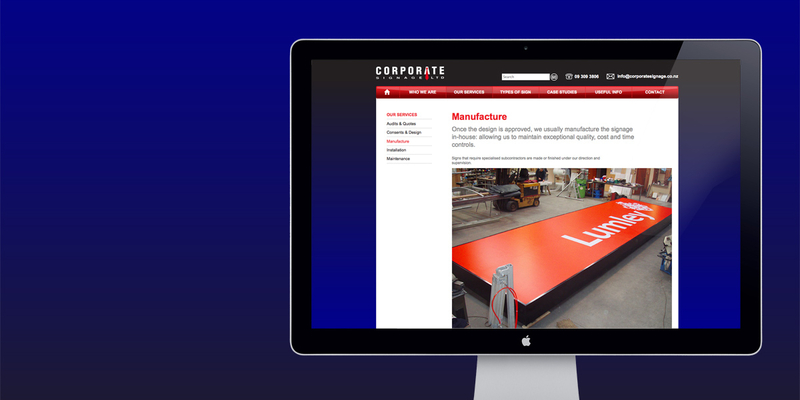 Their existing website needed an overhaul to become their main promotional channel and more accurately reflect the quality of their extensive portfolio of work. 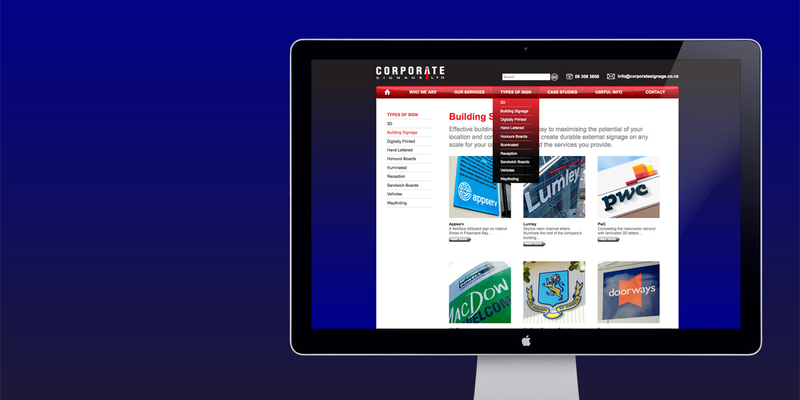 The new website gives Corporate Signage a refreshed, contemporary, image-led look, making good use of project imagery and well written and structured content to demonstrate their capabilities. 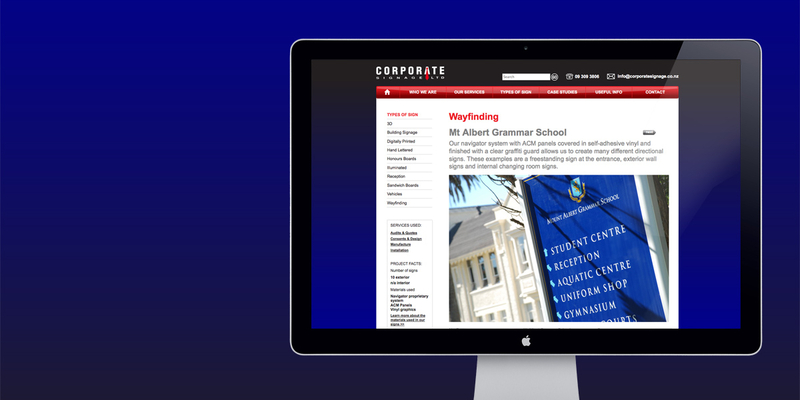 Navigating the site is a breeze and clear copy provides context and detail where necessary. 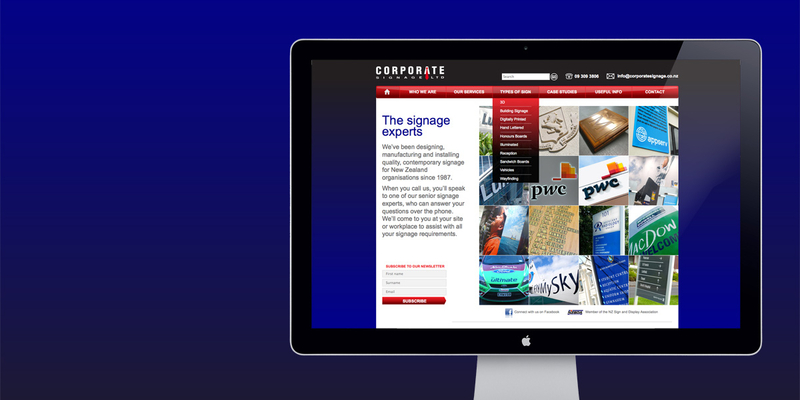 Online case studies with endorsements are introduced as a way of simplifying the sales process and project facts and other ‘useful information’ provide an educational component to improve users’ knowledge of signage.